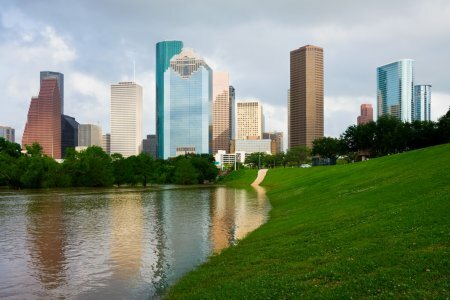 Let’s face it, we live in the Houston area nestled close to the coast in what is referred to as the Bayou City. We not only have intense heat during the summer months but the humidity is so thick you could practically swim in it. Does humidity affect your air conditioning systems performance, and if so, how? This post will address the answers to these questions. When you add humidity to the heat equation you know that the heat index increases and it feels much hotter than it actually is. To compensate for the heat and humidity we often make our way inside to get out of the Houston heat. Our air conditioning systems seem to be working on overdrive and we can see the dollar signs ringing up before our eyes as the air conditioning seems to run non-stop. The heat and humidity seem to have an impact on our bodies as well. Spend too much time outdoors in the summer in Houston and you experience what feels like heat stroke! What many people don’t realize is that this humidity also affects the effectiveness of your air conditioning system. In addition, humidity levels when too high, or too low for that matter, can impact your systems ability to attain maximum comfort levels. While most systems have humidifiers and dehumidifiers to compensate for these issues, you have to wonder if this constant adjustment does a number on your system. So How Can You Tell If Humidity Is High In Your Home? Your air conditioner works by removing the moisture and heat from the air. As the air becomes more hot and humid the AC needs to work harder to achieve its objective of reaching the desired temperature you set on your thermostat. If your ac system is inadequate to meet the demand you may notice the symptoms of high humidity in your home. 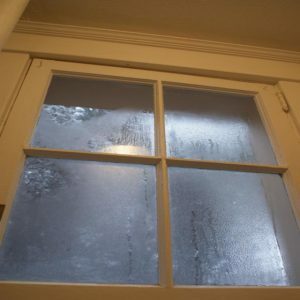 If you notice your windows are fogging up, there is a good chance your humidity levels indoors are high. With high levels of humidity your home becomes a petri dish of sorts and mildew can begin to grow leaving an unpleasant odor in your home. If you notice your AC is constantly running, but you still feel that clammy feeling, chances are good your AC is not doing the job effectively enough. Technically speaking your air conditioners job is to remove the moisture from the air in your home. The problem is that when humidity levels rise the AC is unable to keep up in many cases and this is why cooling seems to diminish. Your AC system will run constantly in a vain effort to keep up and your cost will soar. According to the U.S. Department of Energy you can save 5-30% in energy savings using and auditor and making updates to your home. Here is a brief video that will help you understand how other factors can affect your efficiency. Now you may laugh because of all the white stuff (snow) in this video as we don’t get snow in Houston, nor do we have basements (that would be a disaster so close to sea level), but you will get the general idea. Finally, you should give Air Systems Texas a call. We will come out and investigate the effectiveness of your air conditioning unit and help you to evaluate whether your system is adequate to meet the needs of your home. While we would like to think that whoever built our home had the right AC in mind, that is not always the case. And bigger does not always mean better when it comes to Air Conditioning. Like anything else, you need the right tool for the job. Air Systems Texas can help you evaluate your systems effectiveness and make recommendations that can help improve the comfort of your home and the efficiency of your system saving you a small fortune over the life of your system. Air Systems is an authorized American Standard Service and Installation company. And we also install, service, repair and replace most brands of AC and Heating systems.